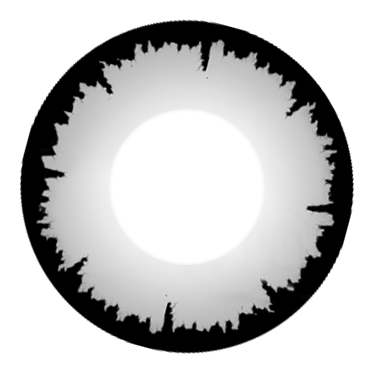 Angelic Eclipse White Contacts are unique and striking. The snow white center is accented by a jagged limbal ring to create a distinct edge and added drama. 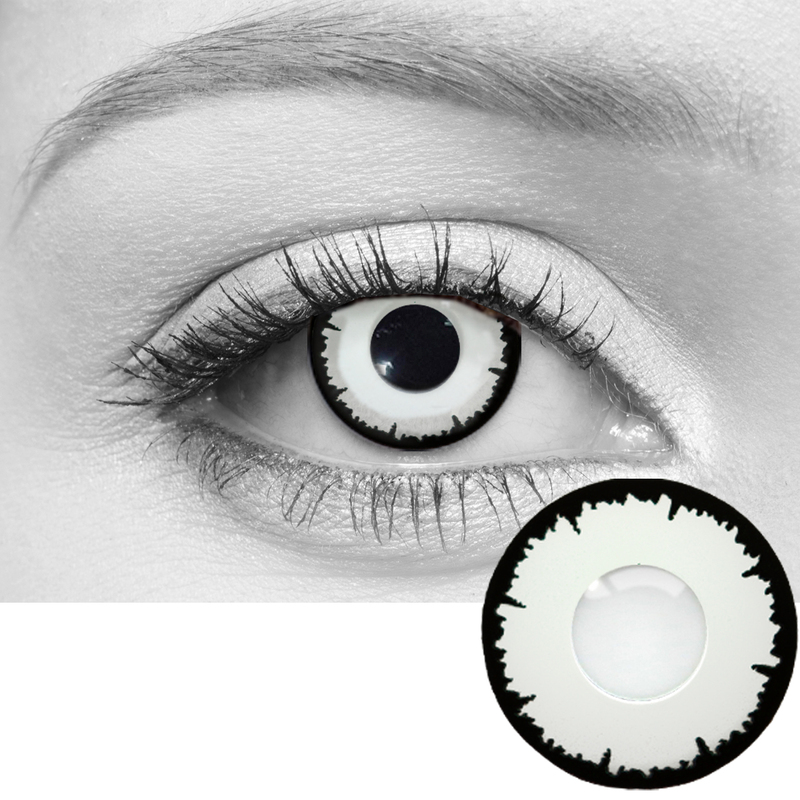 These white color contacts add a stone cold gaze to your costumes appearance. They are perfect for your Maya from Borderlands costume, Storm from X-Men, or even Riddick costume! 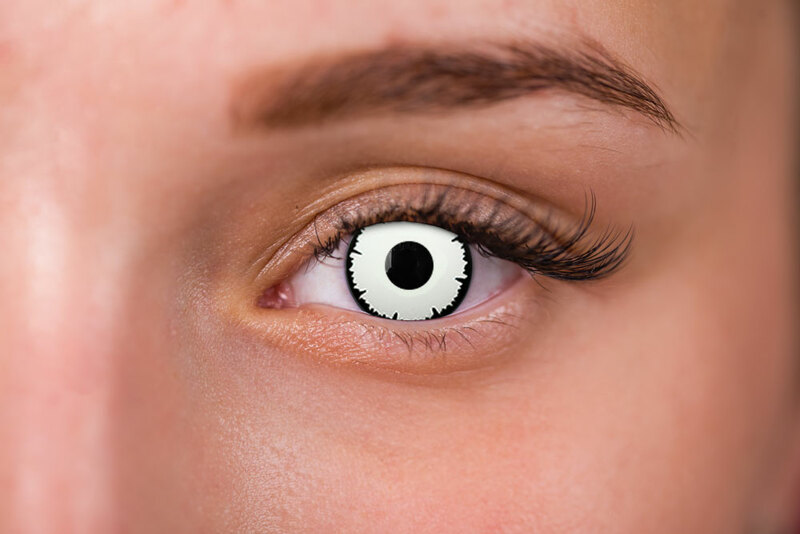 White angelic contacts like these will give you power over everyone at the convention this October. Make your costume as great as it can be and one you will remember for a lifetime with these white color contacts - Eclipse White!